Will climate change leave the Mediterranean at the margin? When will the Arctic routes be feasible? How short is the distance along the Arctic? 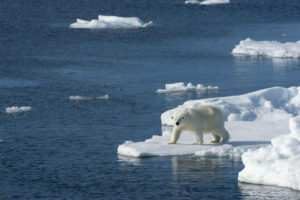 In addition to the sea, what’s in the Arctic? 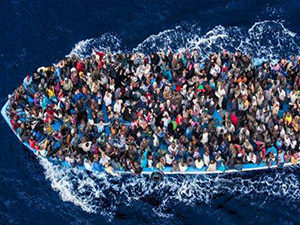 The Economist magazine has just published an article on the issue of migrants in Europe. Why Europe Needs more migrants? To such an important question, one would expect an equally profound answer, and instead, the article loses its logic and confuses causes and effects in a circularity not worthy of the name of the magazine. Do migrants bring economic benifts to the host country? Today, in a short commentary written for Radiocor/IlSole24Ore, I discuss the issue of migrant flow into Europ and its impact on the economy of the host country. Everyone asks the question “Do migrants bring positive or negative benefits to the receiving country?”. The short answer is it depends on a number of variables and generalisation across the globe would be mis-leading. However, narrowing the focus on the Mediterrenan migrant flow into Italy, one can almost certainly affirm that in the short term, the impact is negative and that in the long term it is, at best unclear. The impact may potentially be positive only under a strict set of assumptions, that need to be carefully analysied before making irreversible decisions. In one of my Op-Eds written for Radiocor- IlSole24Ore, Moody’s fa i conti e si allinea alla realtà dei fatti， I talked about Moody’s choice to align itself with the reality when China’s sovereign debt was downgraded from A1 to Aa3. China’s state bonds market is, currently, a non-market: the trading volume is low and the main players are state banks that buy bonds issued by the government and, almost always, they keep them in the portfolio until they expire. 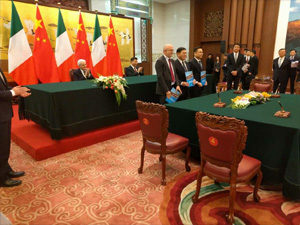 The president of Italy is currently in china for an official state visit. This state visit comes at an interesting time for both China and Italy: the two countries are engaging more than before into a commercial dialogue of mutual respect and common interests, trade between the two counties shows good sign of improvement and Italian trade deficit appears to narrow slightly and capital investments made in the past couple of years have all helped improve the image that the Italian Business community has of China. In my second op-ed written for IlSole24Ore/Radiocor, I compare Italy and China in terms of ranking of legality. 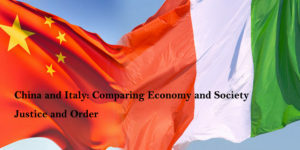 According to data from international studies that provide indices of legality for various countries, Italy is a lot better than China, but this is not enough to attract more foreign investment. Even though China is behind Italy several positions, it is ahead of Italy in terms of ‘order and security’ and this is a much important determinant of FDI than the democracy rank. In this first Op-Ed for 2017 written for Radiocor, I attemp to compare Italian and Chinese economic pillars and suggest a simple program, in eight points, to revive the Italian Economy. 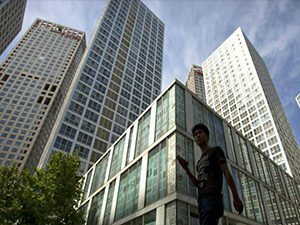 China economy finds its success on an combination of government and private sector activity. 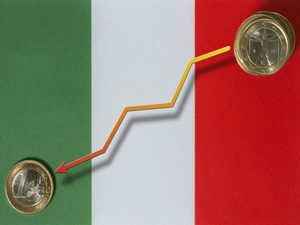 Italians economy needs better coordination between those two sectors and citizens too need to play their role. More needs to be done, naturally, and I will in the course of the next few days, develop each of those points in more detail. For now, Happy New Year to All.. The rate hike operated by the Fed should not lead to particularly negative consequences for China because China is taking a step back in the reforms of the financial system and closing into itself. As soon as any government makes the choice to open the country’s capital account, there’s little that any central bank can do to defend its currency. 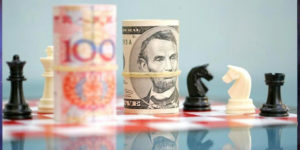 China, therefore, does well to re-trench and disconnect from the world of international finance by adopting restrictive measures on the export of capital.